Ahhhh s’more shots… everyone’s favorite past time. Remember back in the day, sitting around the fire, drinking coffee liqueur out of roasted marshmallows? 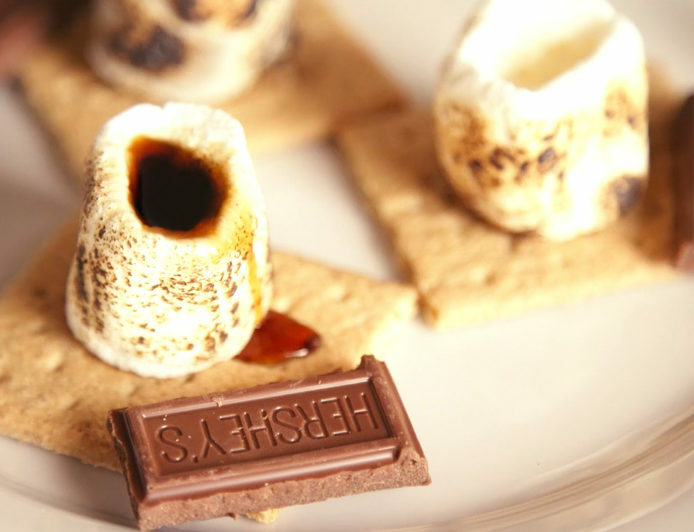 Wait… you’ve never had s’more shots?! Roast the marshmallow until it’s toasted, and place it on top of your graham cracker. Once cooled, fill with your choice of alcohol and ENJOY! Pro tip: these get messy fast, so don’t dilly dally while taking them!